Subhash Velingkar, who was once a strong supporter of Parrikar, had fallen out with him after the BJP-led state government decided to give grants to English medium schools. 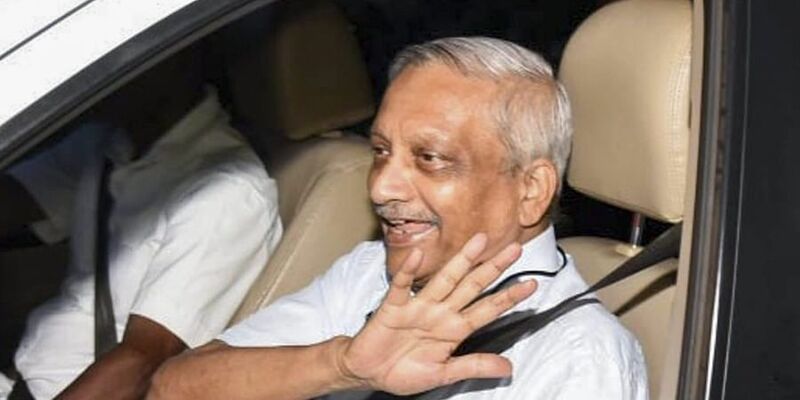 PANAJI: Former Goa RSS chief Subhash Velingkar has said it was shameful that Chief Minister Manohar Parrikar continued to be in power despite being severely ill.
Velingkar, who heads Goa Suraksha Manch (GSM), a political outfit, was talking to a group of reporters in Panaji recently. "It is a matter of shame that a state like Goa is being governed by a chief minister who is severely ill. The state deserves better," he said. "The CM should take rest. It is shameful that he is retaining the chair," Velingkar added. He also announced that the GSM would contest the upcoming by-election in Shiroda and Mandrem Assembly constituencies. Both the seats fell vacant after Congress MLAs resigned to join the BJP in October last year. "We will teach the BJP a lesson. The BJP-led government is untrustworthy, which has gone back on several of its promises," he alleged. Velingkar, who was once a strong supporter of Parrikar, had fallen out with him after the BJP-led state government decided to give grants to English medium schools. Velingkar was leading a group of people who demanded that mother the tongue should be declared as the medium of instruction (MoI) in the elementary education in the state.